Pink Lisianthus - classic and gorgeous. Also know as Prairie Gentian, Texas bluebell, Tulip gentian, Bluebells and Lira de San Pedro & Eustoma (which comes from the Greek words eu (beautiful, good, well), and stoma (mouth). Beautiful mouth?! 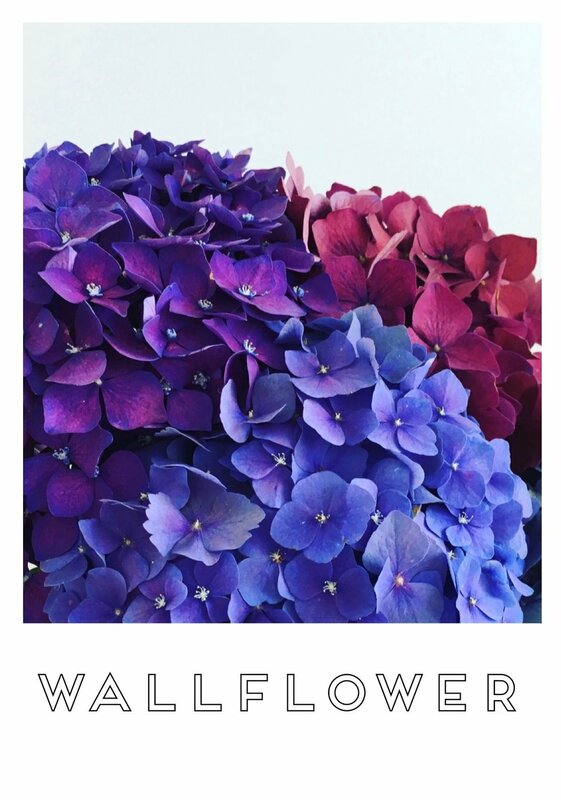 Whatever you want to call them, they are great cut flowers & last a good while in a vase, but your Wallflower print will of course last even longer on your wall! This print is available in sizes A4, A3, A2,& A1. All sizes are printed on 180gsm smooth matte paper with Ultrachrome archival inks. The smaller sizes are wrapped in a cellophane sleeve and shipped flat. The larger posters are rolled into poster tubes for shipping. You can also have your Wallflower poster printed on canvas - please contact me for more information. Enquiries about framing are also welcome. While I will endeavour to ship your poster as soon as possible, please allow at least 7-10 working days for delivery. If your order is urgent, please contact me prior to ordering.